Andrew is a Staff Archaeologists at Far Western’s Great Basin Branch in Carson City. 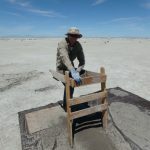 He earned a BS in Anthropology from Central Michigan University in 2011, and an MA is Anthropology/Archaeology from the University of Nevada, Reno in 2016. Since 2012, Andrew has worked in the Great Basin researching, reporting, surveying, and excavating historic and prehistoric resources as part of both management and academic teams. His primary focus is on Nevada archaeology but his experience in the west extends to Idaho, Oregon, California, Utah, and Wyoming. Andrew has presented at regional and national conferences and his research interests include lithic technological organization, Great Basin projectile point typologies and chronologies, atlatl-bow transition in the west, and efficacy of cultural resource management strategies. Poster. Trends in Paleoindian Projectile Point Technology during the Pleistocene-Holocene Transition in the Northern High Plains and Old River Bed Delta. 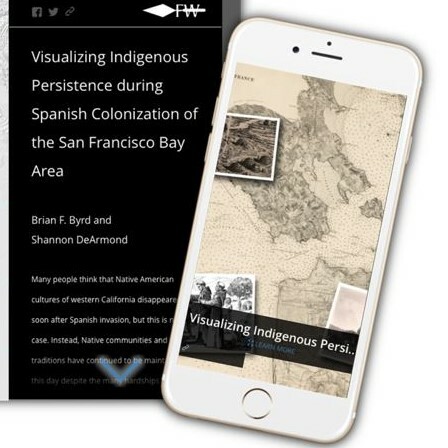 Research Presented at the 83rd Annual Meeting of the Society for American Archaeology, District of Columbia, April 11-15. A Class III Cultural Resources Inventory of 436 Acres in the Soldier Meadows Area of Critical Environmental Concern (ACEC) and Adjacent Public Lands, Humboldt County, Nevada. Far Western Anthropological Research Group, Inc., Carson City, Nevada. Submitted to Bureau of Land Management, Black Rock Field Office, Winnemucca, Nevada. Evaluating Antiquity and Morphology of Corner-notched Dart Points in the Eastern Great Basin. Unpublished Master’s thesis. University of Nevada, Reno, Anthropology Department.